If you visit New York this winter, there’s lots to do at reasonable prices on a Sunday. People who live in the suburbs can visit the City by train, without the nuisance of parking the car. Metro-North Railroad, for example, has free or reasonable parking at its stations. Once you get to the City, there are theater matinees. We wanted to see The Book of Mormon and my wife, Dorothy, got us tickets by planning ahead. If you are flexible in theater choices, it is possible to get discount tickets in Times Square the day of performance. In fact, thinking you know this play from snippets in news and arts coverage is as foolish as those blindfolded wise men who thought they knew what an elephant was from feeling one part of the animal. 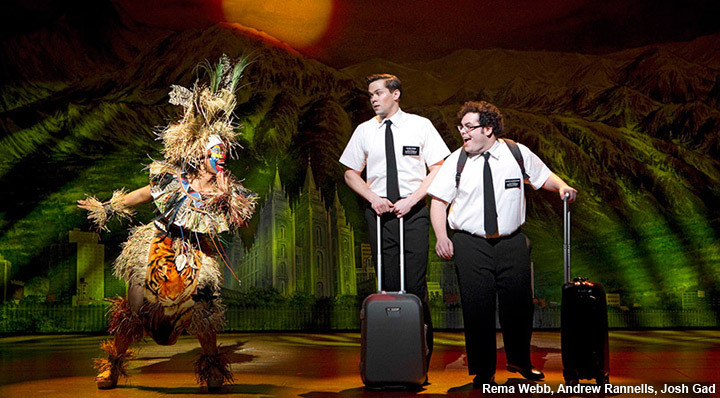 Book of Mormon opens immediately in musical and comedic high gear. 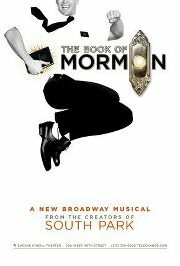 Trey Parker, Robert Lopez and Matt Stone load this play with kooky jokes and insights about people and religion. Because Parker and Stone created the irreverent program South Park, the $64,000 question is how they will proceed: a skewering, a surprise ending or a combination? After the show, we walked through Times Square, a riot of light and color at night. It’s slightly less crowded after the City recently closed some streets and made them a pedestrian mall. 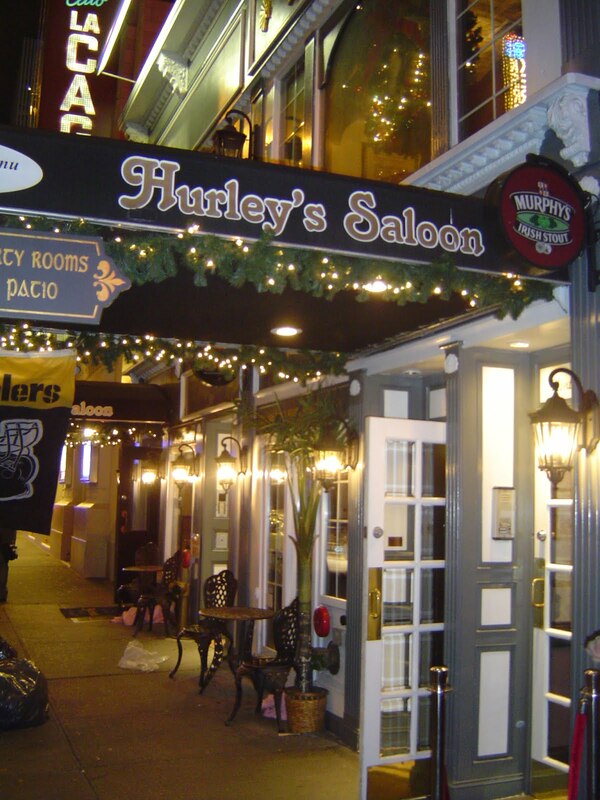 We dined at Hurley’s, an Irish pub, where the atmosphere was congenial, although I think the bartender poured the Guinness in a single shot, rather than waiting a few minutes after filling the glass halfway. 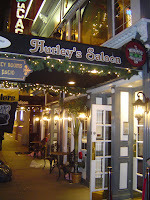 Nevertheless, the fish and chips and hamburger were tasty and service was attentive. In looking for New York City hotels, I learned that prices on Sunday night can be reasonable compared to the rest of the week or weekend. Our hotel, the Best Western Plus President at Times Square, allowed us to check in early. Although they will store luggage, it was reassuring to have the luggage stowed away right off. This boutique hotel was recently renovated and Presidential art is all over the place. Pop Art-style portraits of John and Jackie Kennedy graced our room. The neat and clean room was small compared to those in a suburban motel such as a Courtyard or Holiday Inn. But, we were there to see the City and not the hotel so this was not a concern. The room was stuffy, which we remedied by turning on the window air conditioner. When we got started the next day, we explored for breakfast. 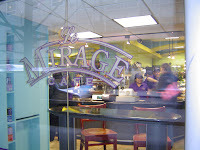 We found Le Mirage (212-354-1234) on 43rd Street between Fifth Avenue and Avenue of the Americas. 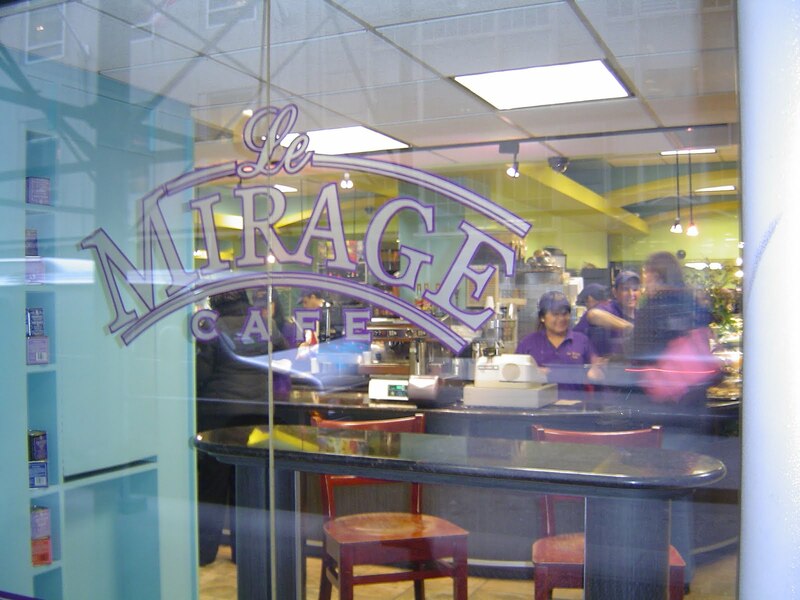 Le Mirage has many delectable, reasonably priced breakfast and lunch choices. We had an egg white omelet wrap with spinach and mushrooms and an egg sandwich on a pillowy, fresh hard roll, with two cups of coffee, for under $9.00. Then we returned home, mentally refreshed by the play and the liveliness of the City.